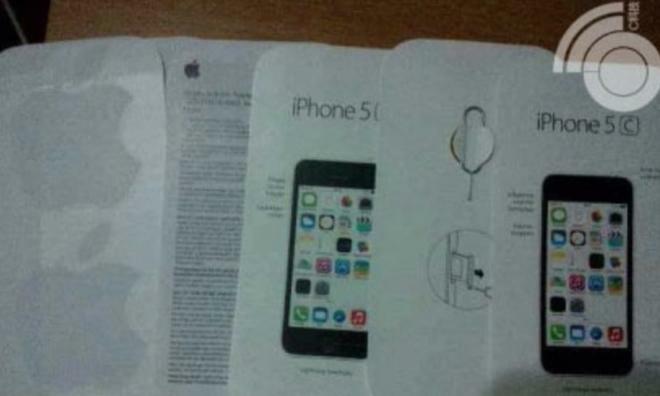 A series of new images from the Netherlands claim to show a instruction manual that will ship with the Dutch version of Apple's forthcoming "iPhone 5C." 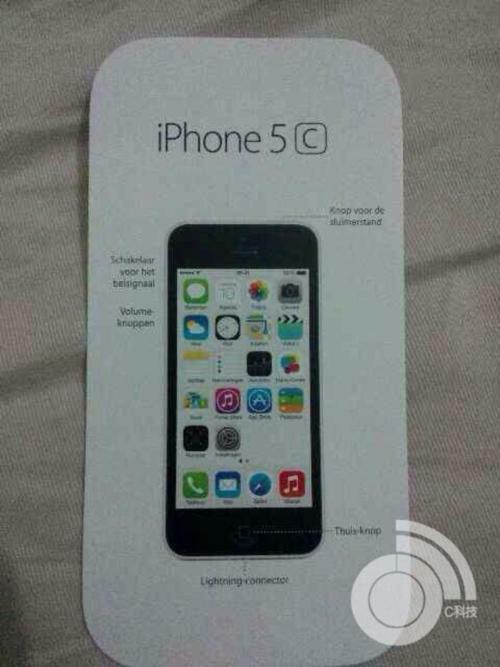 In addition to the "5C" name, the manual shared by SIM Only Radar appears to show an iPhone with a black glass front, and white plastic back. An image in the manual shows the device running iOS 7, and points out the standard iPhone features such as a Lightning connector, home button, lock button, volume buttons, and mute switch. Other materials included with the alleged "iPhone 5C" manual are also the usual items found with a new iPhone: official Apple stickers, a metal SIM ejector tool, and the standard regulatory documentation. Apple is expected to introduce both the "iPhone 5C" and a new high-end "iPhone 5S" at a media event next Tuesday. Apple has already blocked AppleCare employees' time off from Sept. 15 through 28, and the new devices are expected to become available to customers across the world on Friday, Sept. 20. Multiple leaks have shown Apple's new plastic iPhone will feature the same 4-inch display as the iPhone 5. It's expected to entirely replace the iPhone 5 in Apple's fall 2013 lineup, meaning it will likely be priced at $99 with a new two-year service contract. Market watchers expect the "iPhone 5C" will attract new customers to Apple's smartphone lineup, particularly with its low cost and new color options made possible because of a plastic back. It's been projected that the handset will be sold for around $400 without a contract subsidy.